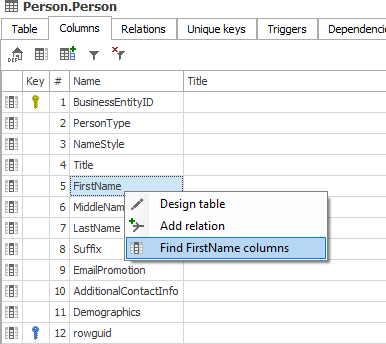 Update (7th March): columns view now only supports exactly one column name. 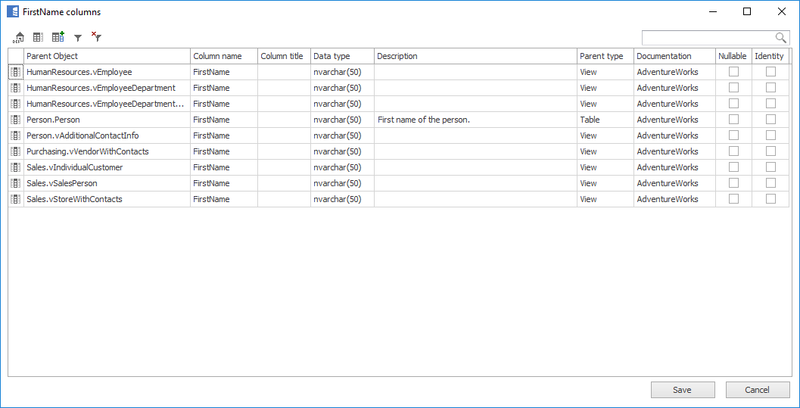 Currently in Dataedo you can view columns only for particular table. We believe it would be very useful to be able to view all instances all specific column in entire repository. In future, you will be able to right click specific column and find all insnstances of this name in single view. This view will enable editing of descriptions, titles and cusotm fields.